STORY: The Catholic Athletic Association left the fate of two of its most important leagues in the hands of the CIF-Southern Section Council and when all the votes were in, several representatives from some of the Southland’s top parochial football powers were disappointed. The CAA saw its football-only league proposals voted in at Wednesday’s council meeting, then successfully appealed by Cathedral High School, which left one of the major goals of the association unmet. That goal was to create two, four-team leagues that will likely compete in the Pac-5 Division. WHAT HAPPENED: With Cathedral winning its appeal at CIF this morning, this is how the new football leagues will shape up for the Catholic and Mission League. The Catholic was hoping for a North and South league made up of four teams each to maximize four playoff berths. In a seven-team league, it only gets three guaranteed spots. The Mission is now a six-team league instead of five, guaranteeing three playoff spots. This is the CAAs fault for focusing on the inner-battle between Cathedral and Salesian not wanting to be in same league in the first place. If the CAA had done the right thing, it would have moved St. Francis to the Catholic League because its most qualified, simple as that. The National Football Foundation, which has been the event coordinator and sponsor of the San Gabriel Valley Hall of Fame senior all-star football game for several years through its San Gabriel Valley chapter, officially pulled its affiliation from the game Wednesday just weeks before the annual East vs. West game, scheduled for May 16 at West Covina High School at 7 p.m.
West Covina football coach Mike Maggiore said the game will continue, however, because coaches and teams already have been selected. The game will simply be called the San Gabriel Valley Hall of Fame game. WEST COVINA — West Covina High School felt it gave a way a 6-3 loss to Bonita last month. The Bulldogs made up for it Tuesday. Maddy Tickey was solid in the circle and had two hits and a RBI to lead West Covina to a 2-1 victory over the Bearcats in a key Hacienda League softball game. 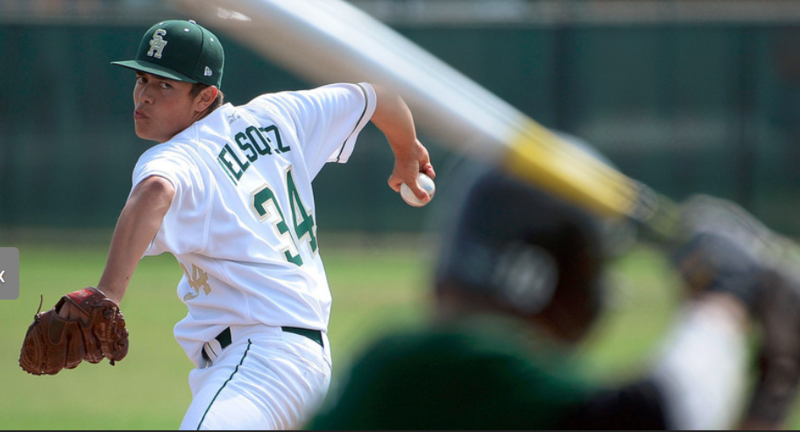 Tickey gave up seven hits and struck out three for West Covina, which improved to 12-10 overall and 5-2 in league play. The Bulldogs also got two hits and a RBI from Alex Rodriguez. 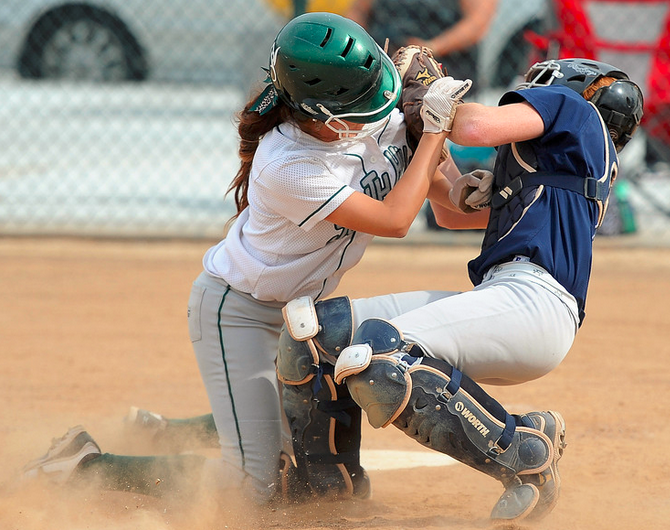 Bonita, which was turned away with a runner on third in the sixth and seventh innings, slipped to 13-6 and 6-1. Chloe Melanson hit a home run in the fifth for the Bearcats’ only run. Bonita faces Los Altos, which is also 6-1 in league play, for first place on Thursday. West Covina, which had seven hits, took a 2-0 lead in the third following RBI singles by Tickey and Rodriguez. Tickey then shut the door on the Bearcats in the sixth and seventh. In the sixth, Bonita put a runner on third with one out following a single by Veronica Ortega, a sacrifice bunt and a wild pitch. But Tickey turned the Bearcats away by getting Alyssa Meyer and Lorraine Gatlin on groundouts. The Bearcats pushed again in the seventh. Leticia Morales walked and Berlyn Benavides beat out a bunt for a single. Both runners advanced on a wild pitch on a strike out by Melanson before Tickey ended it by getting Vienna Benavides and Ortega on ground outs. 1. South Hills (16-3-1) — A full game ahead of Chino Hills after posting two impressive victories last week. Still, finishing first wont be easy. 2. Glendora (15-5) — The only sport at Glendora that has no probelm with the Baseline. The Tartans are in first and in firm control. 3. San Dimas (15-6-1) — Saints sweep Nogales and rest of the schedule friendly. They shouldn’t lose another game before the playoffs. 4. Bonita (16-6) — Had nine-game win streak snapped in 3-2 loss to Gahr, but has two big games this week against West Covina Tuesday and Friday. 5. Bishop Amat (11-9) — Lancers split last week, but still only game back of La Salle in the Del Rey, who it faces two more times. 6. Damien (13-6) – Went 0-2 in a make-or-break week for the Sierra title. Now the Spartans are battling just to make the playoffs in a tie for third. 7. Diamond Bar (14-8) — Brahmas seem like they can beat anyone, but they still could have problems making the playoffs in Hacienda. 8. Sierra Vista (14-2) — A perfect 8-0 in the Montview, the Dons have the fewest losses of any Tribune teams. 9. Los Altos (12-10) — Despite its barely above .500 record, the Conqs still only a game back of Bonita in the Hacienda. 10. West Covina (12-8) — If West Covina were in the Mission Valley or Montview, they would be undefeated in league. That’s how balanced the Hacienda is. Above: Will South Hills get tough when it faces Chino Hills on Friday? 1. South Hills (17-4) — Big win over Charter Oak to keep pace with Sierra League frontrunner Chino Hills, who South Hills will host in Friday’s mammoth game. I’m taking the Huskies, lol. 2. Bonita (13-4) — With games at West Covina and Los Altos this week, the Bearcats can all but wrap up the Hacienda with a pair of wins. 3. Charter Oak (14-6) — Considering Charters’ only two league losses are to Chino Hills and South Hills, there’s no reason to drop it from top three. 4. Bishop Amat (12-8) — Only a game back of St. Paul in Del Rey standings, but time is running out. They host La Salle Tuesday and get St. Paul one more time. 5. 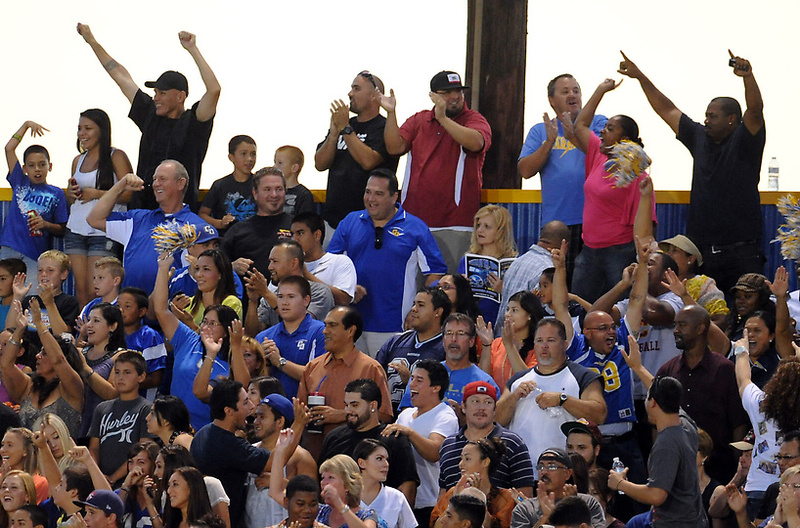 San Dimas (15-7) — The Saints are already focusing on the playoffs because the Valle Vista is just to easy for them. 6. Los Altos (10-5) — The Conquerors have done their part since losing only Hacienda game to Bonita by winning every game since. They get their rematch at home against Bonita on Thursday. 7. Glendora (9-10) – Tartans can’t wait to get of the Baseline. Sadly, they’re closer to last than first. 8. Covina (12-6-1) — The Colts’ only loss in the Valle Vista is against San Dimas, who they will play in the league finale in a couple weeks. They need to keep winning to make the final game mean something. 9. West Covina (11-10) — The Bulldogs are coming on late and can show how far they’ve come by hosting Bonita on Tuesday. If they win, it could set up a wild finish in the Hacienda. 10. Sierra Vista (8-4-2) — A perfect 7-0 in the Montview and one-game lead over Duarte, who it plays on May 8. 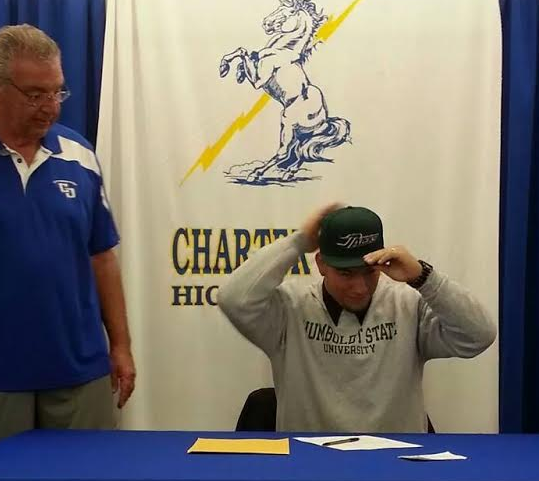 Charter Oak defensive lineman Oscar Enrique Perez took some time but finally made his decision last week to sign with Humboldt State University in a ceremony at Charter Oak along with the Chargers’ coaching staff and his family. LA PUENTE — As dominant as the San Dimas High School baseball team as been in the Valle Vista League this season, there are times when the Saints look beatable. Friday was one of those days, but senior pitcher Peter Lambert refused to allow it. Lambert tossed a three-hit shutout and struck out nine to lead San Dimas to a 4-0 victory over host Nogales in a league game. Jonathan Longtin and Josh Avila had two RBIs each for the Saints, who improved to 15-6-1 overall and 7-1 in league play. Anthony Guardado gave up seven hits and struck out eight for the Nobles, who slipped to 13-7-1 and 1-5. Lambert, who improved to 7-1, got his nine strikeouts between the second and fifth innings, including turning away a Nogales’ scoring chance in the fourth. The Nobles put runners on first and second with no outs following a single by David Barcena and an error on a ground ball by Guardado. Lambert then struck out the next three batters to end the threat. San Dimas took a 1-0 lead in the first on a triple by Daniel Millwee and a RBI ground out by Jonathan Longtin. Josh Avila made it 3-0 with a two-run single in the sixth before Longtin pushed it to 4-0 in the seventh with a sacrifice fly.